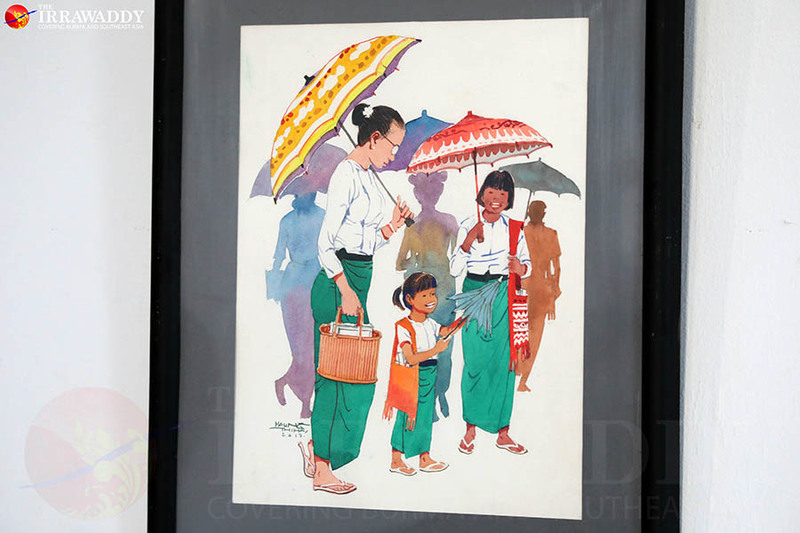 Maung Thiha showcases his show ‘The Umbrellas’ at Lokanat Galleries in Yangon. 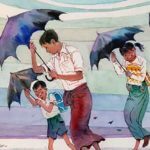 Have you ever noticed how umbrellas are used in Myanmar? 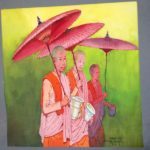 Perhaps, you have seen umbrellas as sacred objects atop glittering pagodas or used by roadside vendors to create shade or shield their customers from the rain. 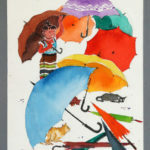 Umbrellas are an everyday objects, which not many artists would use as the subject of their exhibitions. 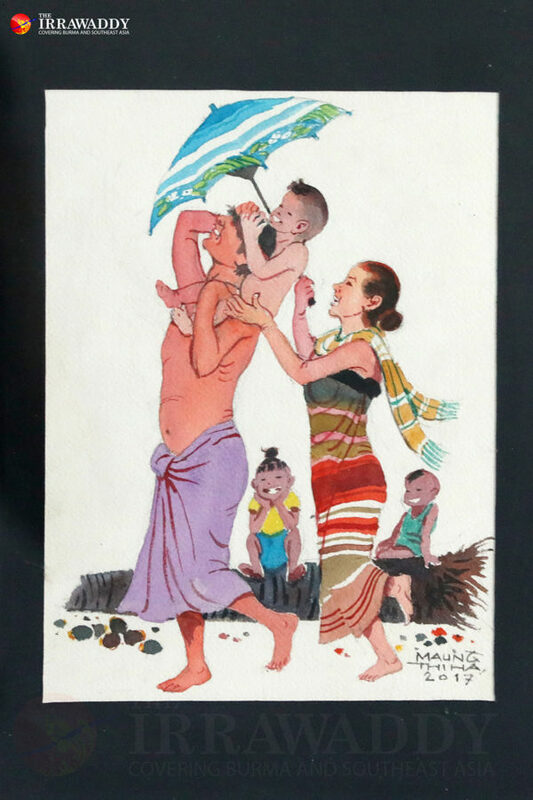 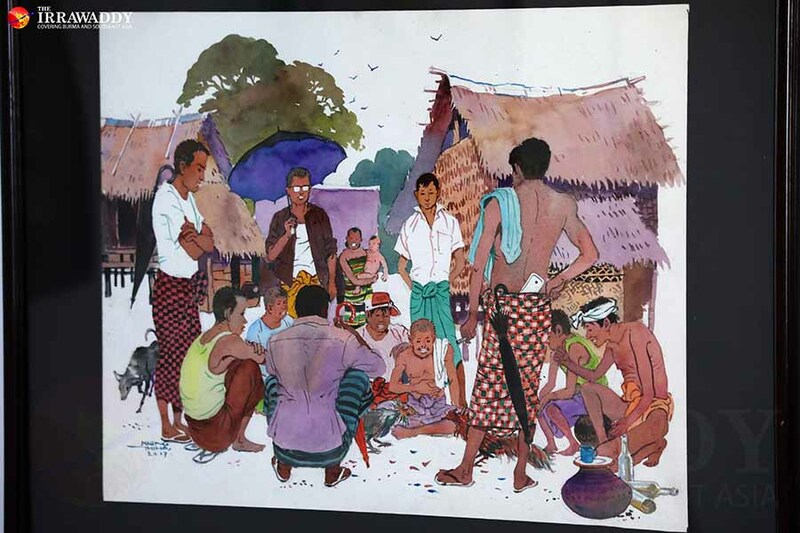 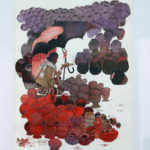 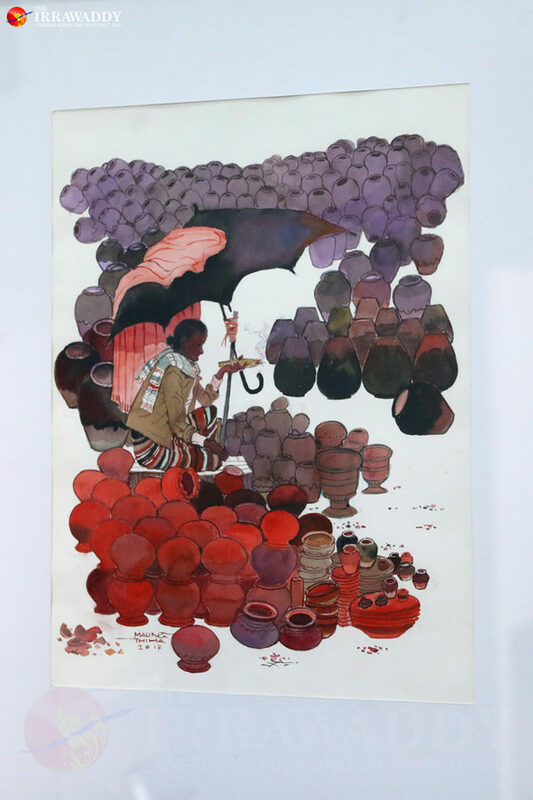 But Maung Thiha showcases his show ‘The Umbrellas’ at Lokanat Galleries in Yangon. 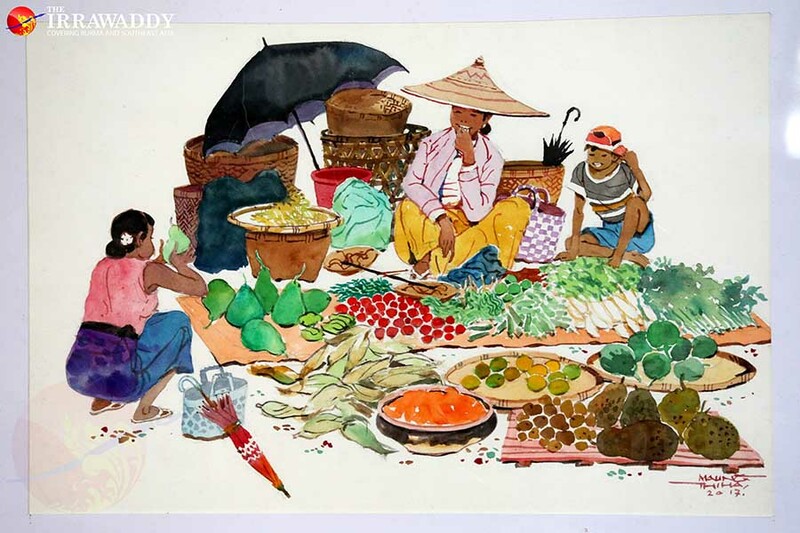 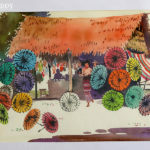 On canvas, Maung Thiha has painted colorful umbrellas that were stored in his memories. 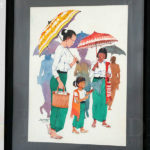 His exhibition reminds us of all the ways umbrellas are utilized in Myanmar. 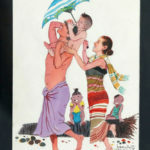 Of course, umbrellas are used to cover oneself against sun and rain. 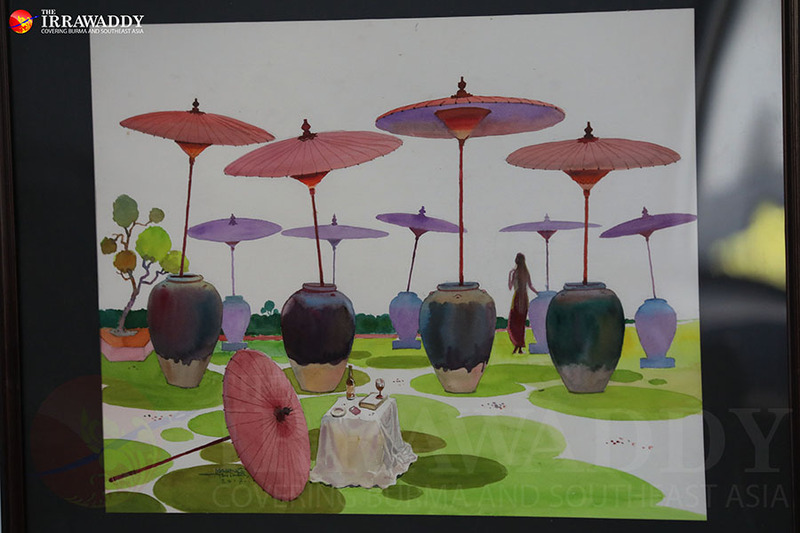 But parasols made in Irrawaddy’s capital city are known for their flowery patterns and decorative purposes. 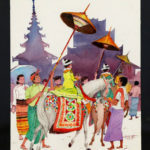 Gold-colored umbrellas are used in Buddhist novitiation ceremonies, and are typical of them. 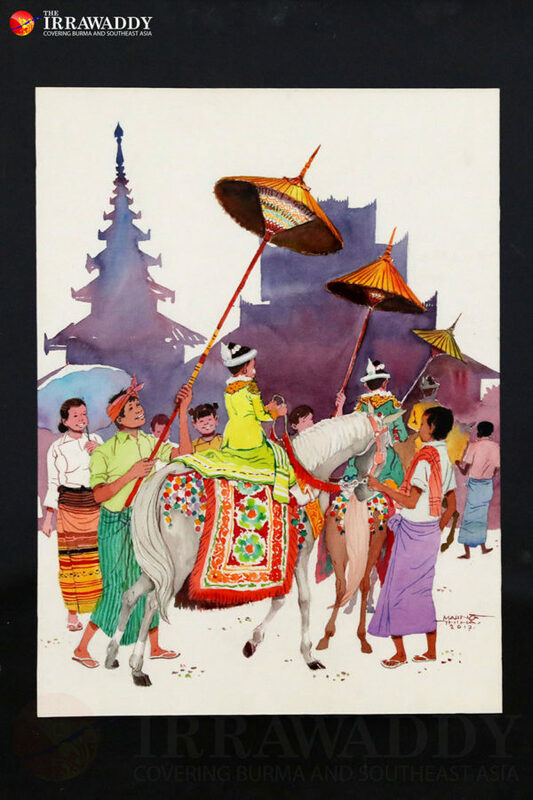 Small paper umbrellas are used as offertories at pagodas as well as for astrological purpose to avert bad luck. 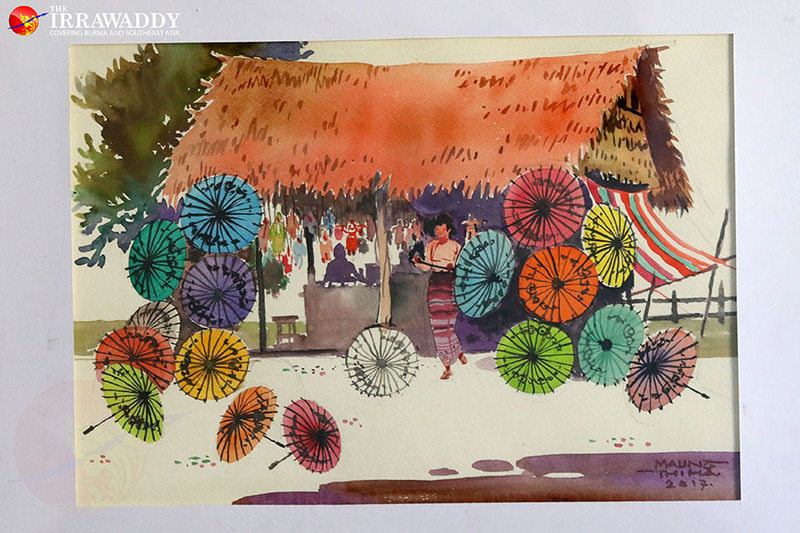 And stationary parasols are used by street vendors. 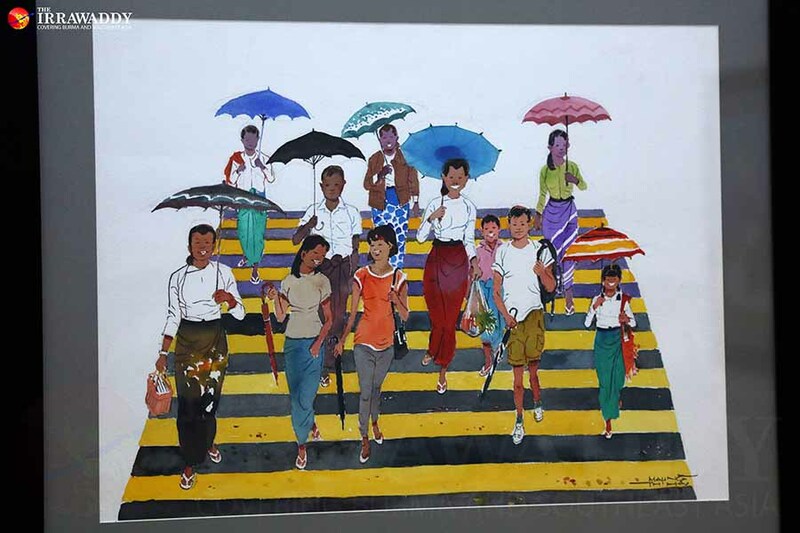 “Umbrellas are necessary in Myanmar society. 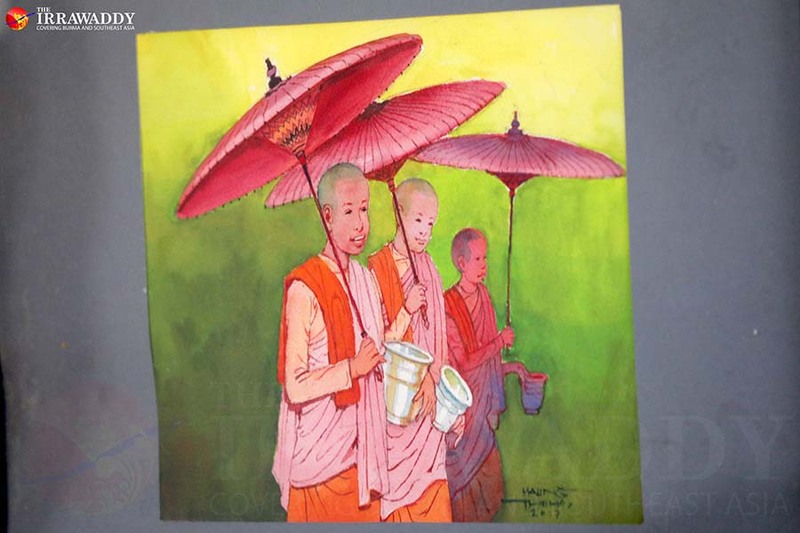 I always see students and novices walk past my house holding umbrellas. 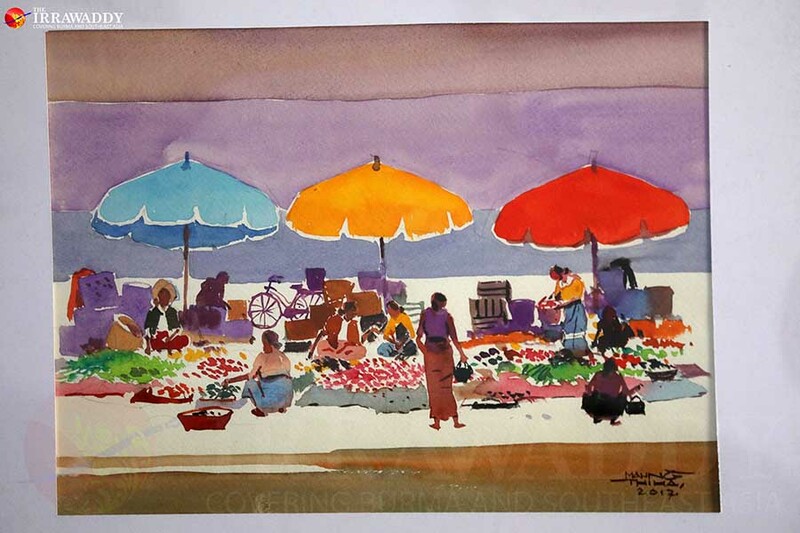 And there are also umbrellas in markets. 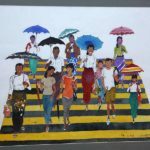 In my trips across Myanmar, I also saw umbrellas bearing local crests. 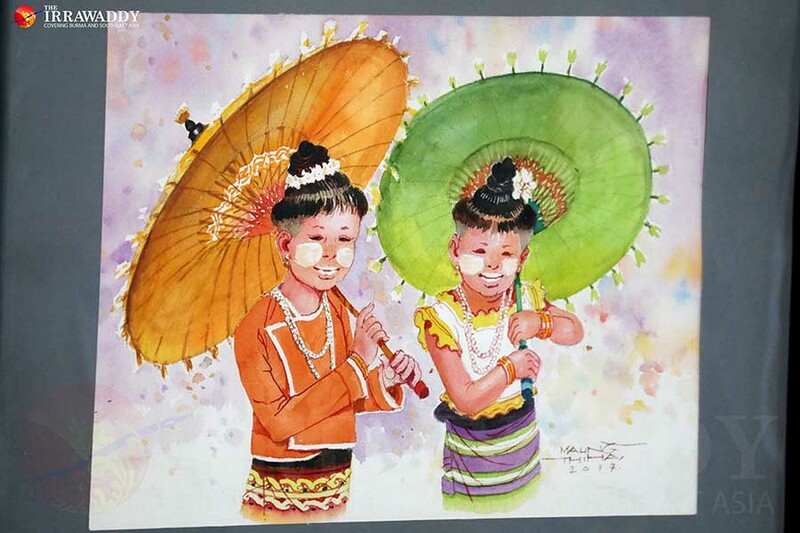 So, I got the idea of organizing an umbrella series,” said Maung Thiha. 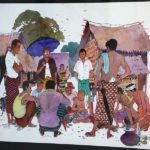 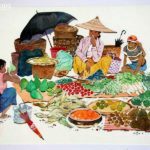 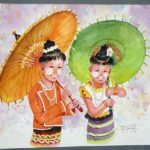 A graduate of the Mandalay State School of Fine Arts, he has participated in group exhibitions since 1975 and showcased his paintings in foreign countries like Hong Kong and Thailand. 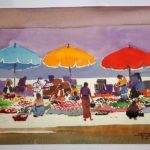 From 1999 to 2016, he organized five solos, and his sixth solo ‘The Umbrellas’ showcases 26 paintings priced between US$150 and $450. 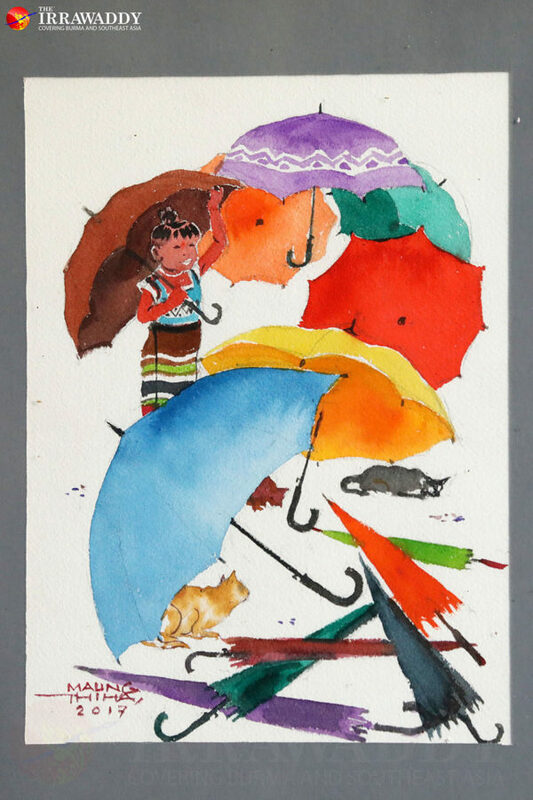 “I have a lot more umbrellas that I can think of but haven’t painted. 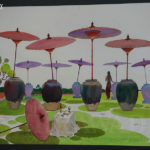 Umbrellas are used differently in different places. 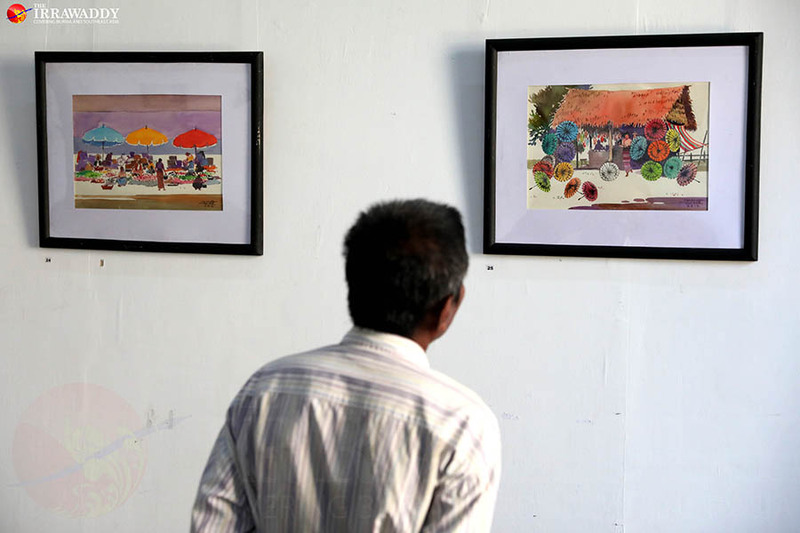 It will take time to paint them all,” he said. 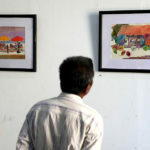 His paintings will be on display until Monday.